The Affordable Care Act, or “Obamacare,” has had intense public debate. It has been criticized and praised with oft-exaggerated rhetoric. I am grateful that President Obama and Congress came together and, for the first time in our nation’s history, agreed that everyone should have health care. However, while the ACA will help many, millions of others will remain un- or under-insured. Health care will still be too expensive; systemic cost-drivers remain largely the same. Even as roll-out of the ACA occurs, it’s not too early to ask how Minnesota can do better. Let’s start by spelling out the goals: We want all Minnesotans to get the health care they need, when they need it. We want to keep people as healthy as possible. We want patients and the doctors (and other health professionals) they choose to make medical decisions, not insurance companies or government. From these goals, we design a health care system to meet them. Not a plan based on political ideology, but one based on principles that fulfill our goals. For several years, a number of medical professionals, patients, and policymakers have been designing such a health care system, one we call the Minnesota Health Plan (MHP). Under this proposal, all Minnesotans would be covered for all their medical needs, including dental, prescription drugs, optometry, mental health, chemical dependency treatment, medical equipment and supplies, home care, and nursing home care. Real world evidence shows that countries that cover everyone spend half what we spend per person, yet they have better health outcomes! Patients would choose the doctors they go to when they need care, and their coverage would not end when they lose their job or switch to a new employer. Consumers would use the same doctors and medical professionals, the same hospitals and clinics, but all the payments, covering all of the costs, would be made by the MHP, and everyone would be covered. Unlike the old system or the current ACA, there would be no complex application forms (enrollment would be as simple as enrolling a child in school), no worrying about whether a treatment is covered or how you are going to pay for prescriptions. It is important that our system recognize these are not merely aspirational goals; we are serious about them. MHP would be required to meet all of the principles underlying the plan. This Minnesota Health Plan treats health care as something everybody needs and everyone gets, just like police and fire protection. If you call 911 because your home is burglarized, the police dispatcher doesn’t ask whether you have “police insurance,” or whether your policy covers burglary. They don’t ask how you are going to pay your deductible. The police response does not depend on your insurance status. Everyone is treated equally. It’s the American way. In summary, we don’t want health insurance for more, we want health care for all. Surprisingly to some, covering everyone is actually less expensive than our current government and insurance-driven system. Economic studies of proposals like the Minnesota Health Plan show that eliminating the bureaucratic insurance system saves more than the cost of covering everyone. Real world evidence shows that countries that cover everyone spend half what we spend per person, yet they have better health outcomes! That shouldn’t be surprising because when people who are uninsured or under-insured get sick, they wait until the problem gets worse, then go to the emergency room or hospital — the most expensive places to get care. We all pay for that. The Minnesota Health Plan would save billions of dollars in year one, and the savings would increase over time. Instead of paying premiums to our employer or insurance company, we would pay premiums, based on ability to pay, to the MHP. Everyone would pay something, but it would be affordable to all. With the ACA, more Minnesotans will be covered; insurers can no longer deny coverage for pre-existing conditions. Even so, let’s commit, in the few next years, to moving Minnesota forward in a health care system that meets some essential principles — providing affordable, patient-driven, high quality health care to all. 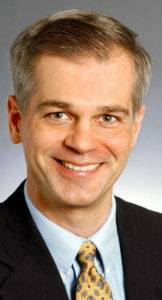 John Marty is a DFL state senator representing District 66, largely in Roseville, Minnesota. He is a member at Mount Olive Lutheran Church (ELCA), in Minneapolis.